Picture223 5800 - MRI/Prompton Tool, Inc. Published April 17, 2016 at 451 × 301 in Precision Machining. Prompton Tool Inc. occupies a 100,000 square feet building in Honesdale Pennsylvania. Our Quality Management System is AS9100 certified for customers requiring a formal quality management system. Since 1968, we have been supplying quality product and services to the aerospace, medical and related industries with precision sheet metal fabrication and machining services. 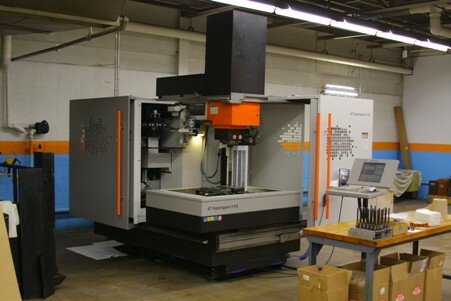 We offer CNC services in punching, forming, EDM, machining, turning, certified GTAW, TIG, MIL SPEC aluminum, steel and stainless spot welding, with assembly and testing capabilities. We also have expertise in manufacturing aluminum dip brazed assemblies.